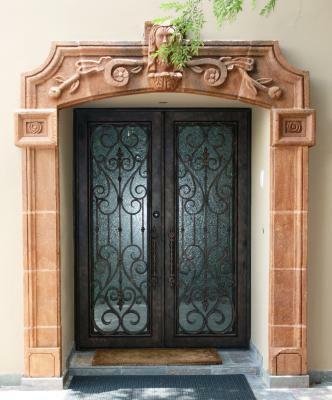 Scottsdale Arizona is home to many Signature Iron Double Entry Doors like this one. All our doors are hand forged and designed to complement every home. This family liked our Milan style, so we crafted it to work for them. Call us and come by our showroom in Phoenix Arizona to find out how you can get a Signature Iron Double Entry Door in your home.